Bivalent type 1 & 3 oral poliomyelitis vaccine I.P. Each dose of 2 Drops (0.1 ml) contains Poliovirus (SABIN) P.M.K.C.C. Note: CCID50 is the statistically determined quantity of virus that infects 50% of the cell culture. 1. Name of the product Bivalent type 1 & 3 oral poliomyelitis vaccine, ip (bopv 1 & 3). 2. 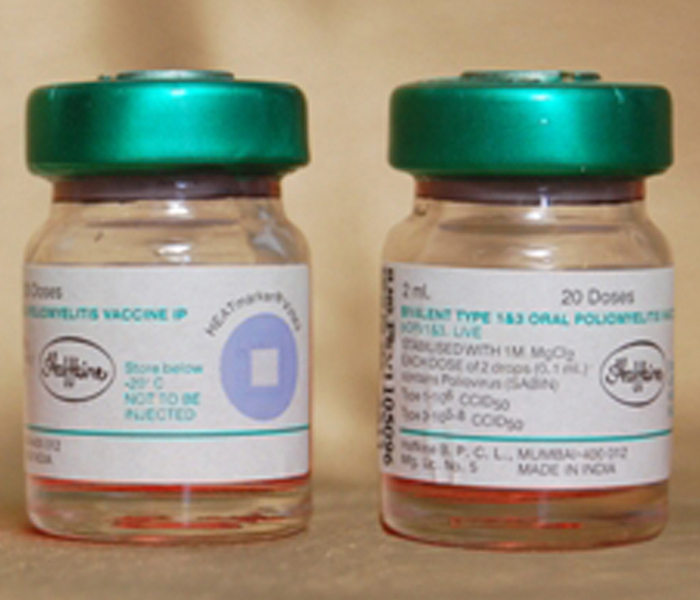 Generic name Bivalent type 1 & 3 oral poliomyelitis vaccine, ip (bopv 1 & 3).